Illinois Assembly's Rare Hearing Challenges Proposed Workers' Comp Cutbacks : The Two-Way An injured worker, who was featured in a ProPublica/NPR investigation, testified about the cost of cutting benefits. He asked lawmakers not to make the kind of cuts that got him evicted from his home. Democratic lawmakers in Illinois sought to turn back proposed cutbacks in workers' compensation benefits with a rare eight-hour hearing Tuesday before the entire Illinois House. House Democratic Speaker Michael Madigan convened the hearing in response to workers' compensation changes proposed by Republican Gov. Bruce Rauner. The hearing featured the findings of a ProPublica/NPR investigation of changes in workers' comp benefits across the country in the past decade. An injured worker from Oklahoma who appeared in the ProPublica/NPR series testified at the Illinois hearing. 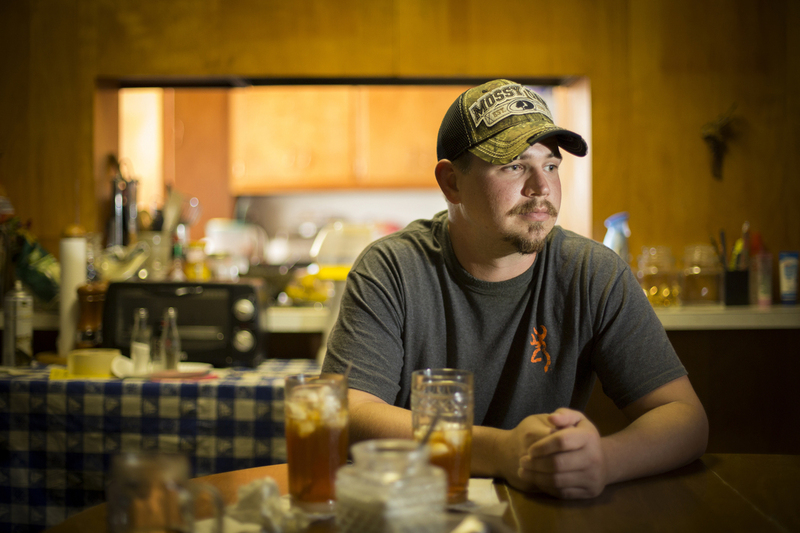 John Coffell injured his back at a Lawton, Okla., tire plant last year, just after a new state workers' comp law cut the maximum temporary wage replacement benefits from $801 a week to $561. Allowing workers' comp judges to consider opinions of doctors hired by insurance companies rather than giving deference to workers' physicians. Greg Baise of the Illinois Manufacturing Association testified in favor of Rauner's proposals, citing the costs of workers' comp premiums in Illinois compared with neighboring Indiana. He says this is the "No. 1" reason why his members don't like doing business in Illinois. "What we're looking for is a fairness in the system to move us to more middle of the pack," Baise said. "Their representatives may have called these actions 'reforms,' " Hoffman said. "But what they really did is they denied hard-working middle-class families the care they need and the support they deserve." ProPublica's Michael Grabell has this detailed report on the hearing.